Edgars Zimbabwe to purchase Edcon's Africa business franchises? "The strategy also includes disposing its Africa business franchises to Edgars Zimbabwe," said one who is aware of the developments at Edgars. "If all goes well, Edgars Zimbabwe will purchase all the African business franchises and will be paying a franchise fee to Edcon Holdings. 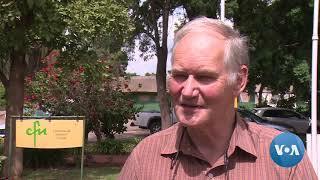 As we speak, Imara Corporate Finance is doing the due diligence of the whole transaction." Under Pattison's strategy, Edcon will reduce its 1,300-store footprint and cut floor space by 17% over five years to boost profitability. 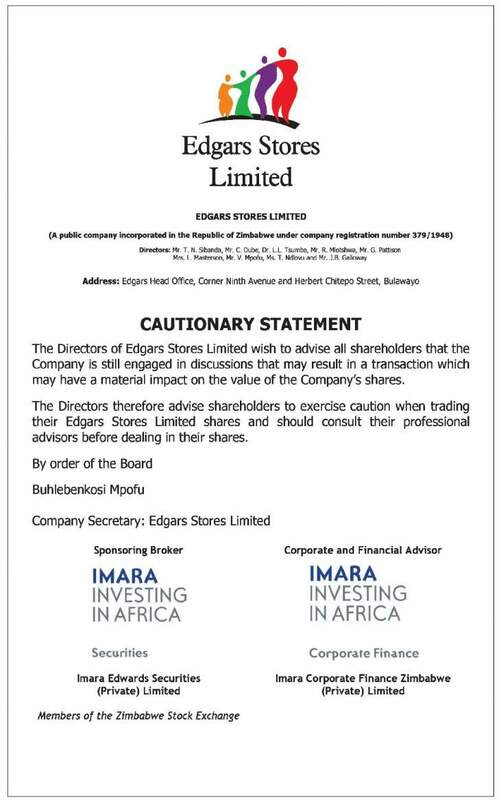 Edgars Zimbabwe released a cautionary statement advising all shareholders that the Company is still engaged in discussions that may result in a transaction which may have a material impact on the value of the Company's shares. A telephone call to confirm the Edgars Zimbabwe developments did not yield any results because of the sensitivity of the issue. 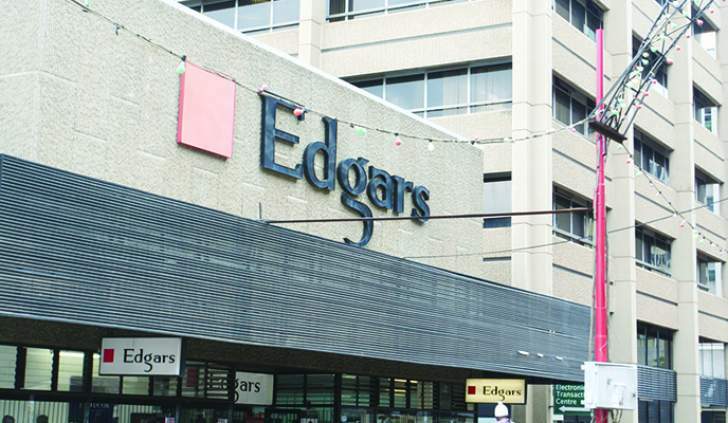 "The Directors of Edgars Stores Limited wish to advise all shareholders that the Company is still engaged in discussions that may result in a transaction which may have a material impact on the value of the Company's shares. The Directors, therefore, advise shareholders to exercise caution when trading their Edgars Stores Limited shares and should consult their professional advisors before dealing in their shares."